NEW YORK (CNS) — Dignity and understatement are usually noble qualities in a film. 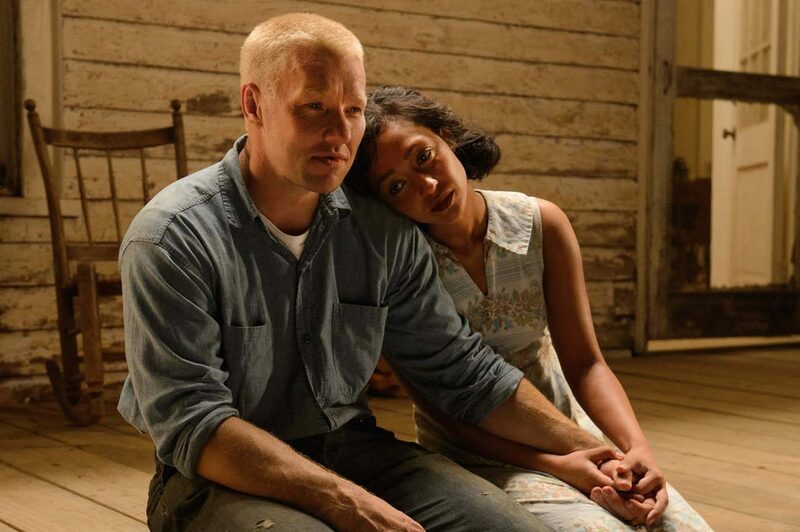 “Loving” (Focus), the fact-based story behind a landmark 1967 Supreme Court decision, is so restrained and decorous, however, that it nearly obscures the historical significance of the events it recounts. Richard’s serene African-American wife, Mildred (Ruth Negga), gets to display considerably more human qualities. It’s she who kicks off their legal crusade — which eventually succeeded in demolishing race-based legal restrictions on marriage in the United States — by writing to Attorney General Robert Kennedy. Inspired by the civil rights movement, which she experiences only on TV, Mildred also understands the need for national news coverage. The Lovings, who lived in Caroline County, Virginia, married in Washington in 1958 — thereby evading, temporarily at least, their home state’s law forbidding interracial unions. Such “anti-miscegenation” statutes had their origins in the days of slavery but were reinforced in Southern states after the Civil War; Virginia’s was enacted in 1924. Shortly after returning to the Old Dominion, the couple was arrested and jailed. Because the commonwealth rejected the validity of their marriage, deputies also hoped to arrest the Lovings on a fornication charge — thus increasing the penalties they would face. A judge gives the duo a one-year suspended sentence, and forbids them to return to Virginia for 25 years. So they move to Washington. But they don’t take to city life, and when they return to Virginia for the birth of their first child — Richard’s mother, Lola (Sharon Blackwood), is a midwife — they’re arrested again. They eventually move to a neighboring county where law enforcement is less inclined to harass them. But they seek legal relief in order to return to Caroline County, where Richard has promised Mildred he’ll build her a house. These circumstances must have been extraordinarily stressful, since the Lovings had no way of knowing whether any given nightfall would be the cue for a hate crime. Yet writer-director Jeff Nichols doesn’t allow either Richard or Mildred to be freely emotional. Occasionally, relatives express their frustrations, but that’s it. Nichols keeps his drama free from the histrionics that surely must have occurred. Lawyers from the American Civil Liberties Union, inexperienced but hugely confident in the merits of the case, guide it to the Supreme Court. But even there, their arguments and those from the state — which at least would explain to viewers why all of this matters — are truncated. The cultural impact of the Lovings’ struggle makes this valuable viewing for mature teens, despite the elements listed below. The film contains a premarital pregnancy, a couple of crass terms, fleeting racial slurs and two scenes of childbirth. The Catholic News Service classification is A-II — adults and adolescents. The Motion Picture Association of America rating is PG-13 — parents strongly cautioned. Some material may be inappropriate for children under 13.